Maxi dresses are perfect for sunny/humid days and a summer wardrobe staple for sure. It's also an ideal outfit for this unpredictable weather period we are having right now, plus if your not exactly summer ready it will keep those legs and tummy hidden. Below I'm wearing an old maxi dress from a brand called Dahlia, think I purchased mine from Oxford St Topshop in the downstairs concession department years ago during my pregnancy as it has an elasticated waist which is always a bonus. Personally, I like to wear day maxis with sandals or trainers, but it's down to what you prefer. What is on the high street? If you want something casual looking the below maxi's are ideal for weekends, school runs or popping to the shops. 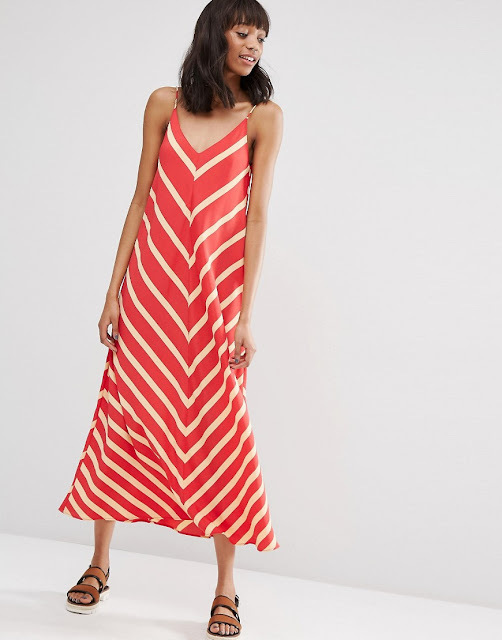 If it's colour you're looking for, I love this chevron print. Wear a biker or denim jacket on top and pair with white trainers. This loose fit pink maxi could be worn to a summer wedding, add heels and accessories. Wear it during the day with black gladiator sandals or trainers. 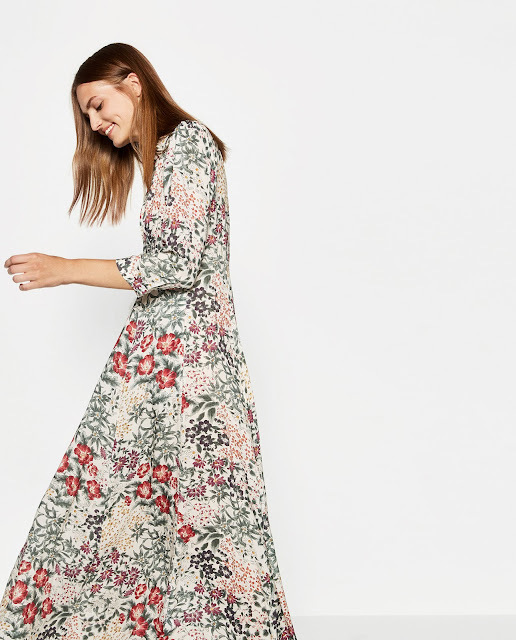 Florals are always pretty in summer, try the ones below for that summer feeling.